At Connect Hearing we pride ourselves on being an Irish owned independent hearing healthcare company who have grown very well over the last few years. Starting out with clinics across the border region and Donegal we now have permanent hearing aid centres in Dublin, Ardee and Letterkenny. We also service a network of clinics across Ireland. Although we have become a larger company, our ongoing relationships with local associated medical professionals and our network of outlets in local areas across Ireland means that we have retained the ethos and ideals of a local business. We deliver a host of hearing healthcare services and digital hearing aids to the public through a network of outlets across Ireland local to them. At Connect Hearing Services, we guarantee you’ll get the professional, expert hearing healthcare service that you need. Our mission is to provide you with the latest hearing aid solutions combined with warm, caring customer service. We only offer the latest, brand name hearing aids available from the very top manufacturers in the world. We do this so you know exactly what you are getting and can compare more easily. We believe that this is what is the best for both us and you. You can rest assured that when we recommend a hearing aid system, you are being recommended the very best available. These are just a few of the great reasons why our clients keep coming back. We specialise in finding solutions for even the very toughest hearing losses. We keep ourselves informed of latest hearing aid innovations and wireless breakthroughs and ensure that we offer them through our outlets. we have years of experience providing the most up-to-date diagnostic testing, hearing evaluation, and hearing aid technology services. 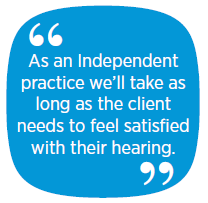 At Connect Hearing Services, we take pride in providing an outcomes-based practise. This means we’ll give you as many follow-up visits as it takes to make sure you’re fully comfortable and satisfied with your hearing aids. 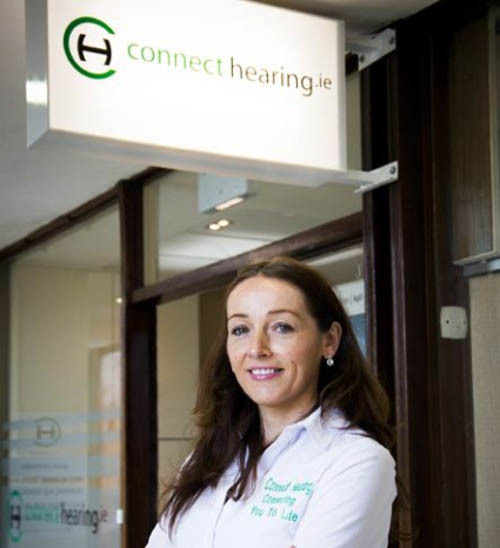 Angela is based at Connect Hearing’s Stillorgan practice and other Dublin centres, is a registered hearing aid dispenser (RHAD) with the HCPC and worked in hearing healthcare for over 10 years. Angela prides herself on delivering a personal and friendly service to her clients in a welcoming environment. Angela enjoys meeting new clients that have not yet addressed some of their hearing concerns as well as existing clients that can benefit from new technology on the market. We believe that every person who walks into any one of our hearing aid centres in Dublin or across Ireland is a unique individual, and that we need to take the time that is necessary to understand their wants and needs. 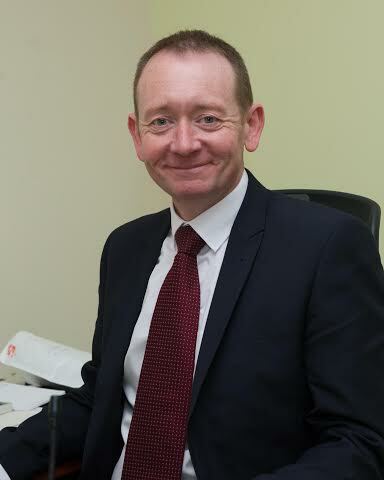 We promise to work closely with you to assess and understand the cause and impact of your hearing loss, as well as the situations in which you are having the most difficulty communicating. In order to prescribe the best solution for you, we need a clear understanding of your lifestyle and the impact your hearing loss is having on it. In order to do this we will complete a lifestyle questionnaire with you during your initial consultation. Comprehensive auditory testing using best practice protocols and the most modern equipment in order that we completely understand your hearing loss. We fit the hearing aids, customising them to your hearing loss ensuring that you get the sound you need. Then we verify their function to ensure efficacy. Looking for quality hearing aids & outstanding care?